Hot Rod Jim is a chassis shop focusing on using the C4 C5 and C6 Corvette Suspensions for the use on pro-touring modification to Hot Rod’s and Muscle Cars. With Corvette suspensions under everything from 32 Fords to AC Shelby Cobras, TriFive Chevy's and Trucks we can help you make your car drive and handle like you’ve always dreamed. We Build frames from scratch for several cars as well as one off customs. Hot Rod Jim’s also specks out driveline's and will assist you in a late model motor to complement your suspension to give you the modern power and reliability of fuel injection. Hot Rod Jim’s is a family shop owned and operated by Jim and his two sons. Call us today and see how we can make your car into the ride of your dreams. The Guys at Nerd Rods just got their new site up with LOTS and LOTS of new photos. The TirFive Frame is on Version 7 and a Taskforce Truck C4 Prototype is almost ready to roll. Check them out for more. 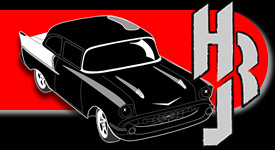 Big News from Hot Rod Jim's on the TriFive Frames and Rolling Chassis's. 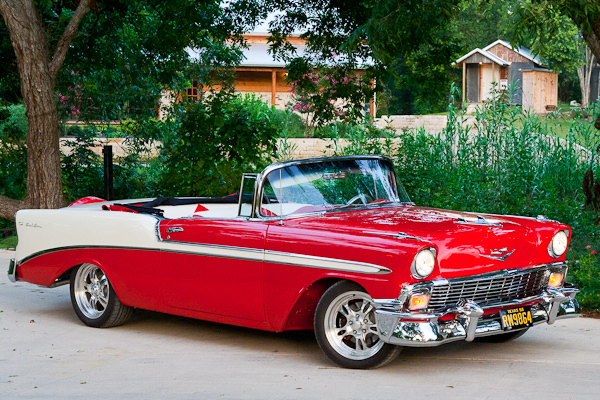 After today all rights to the 1955, 1956 and 1957 Chevy Passenger Cars frames has been sold to Nerd Rods. https://www.nerdrods.com for more information or call them at 512-348-6253. PT-57 Chassis design and 3D Scanning Update, Read More Here. PT-57 Frame Update, Read More Here. PT-57 Update, Read More Here. 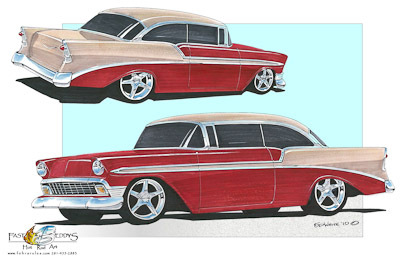 Updates to Fred's 56 2 Door Hardtop Project, Check out the new rendering. New pictures of the PT-57 Build! Squires Turbo Systems has been helping us with the PT-57 and had graciously offered to sponsor us as well as make us a Dealer. Click here for the STS Website.